​Welcome to the Alabama ENA website! Here you will find information about upcoming local and national ENA events, resources specific to your state council and have an opportunity to connect with your fellow Alabama ENA members. 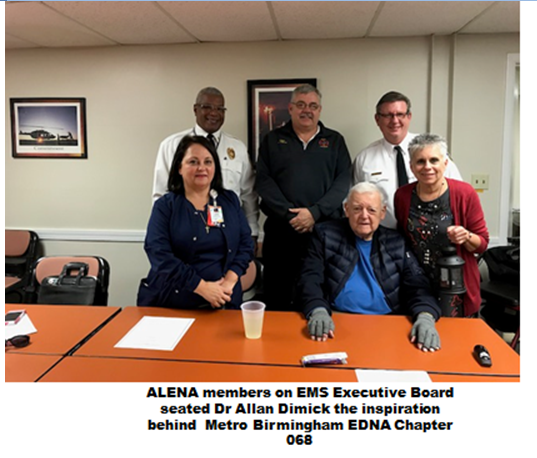 The Alabama Council of the ENA originated as the Metro Birmingham Emergency Department Nurses Association (EDNA), which was formed in the mid-late 1970's. Currently our chapter has over 400 members registered. 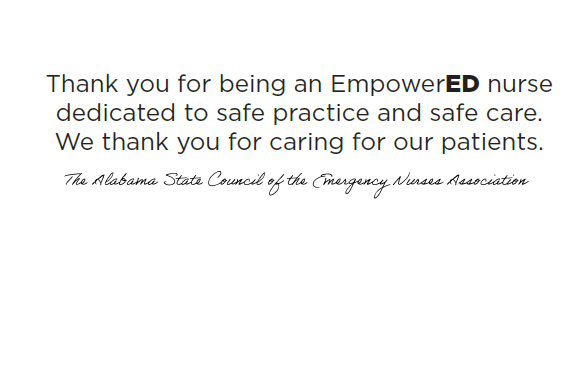 Here at ENA, our mission is to advocate for patient safety and excellence in emergency nursing practice. We envision our self to be the global emergency nursing resource and advocate for Safe Practice and Safe Care. Our values, derived from the vision of our co-founders Judith Kelleher and Anita Dorr, guide our priorities.